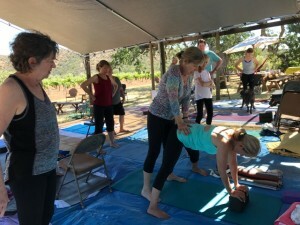 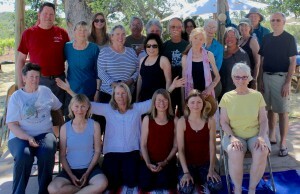 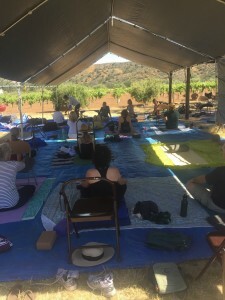 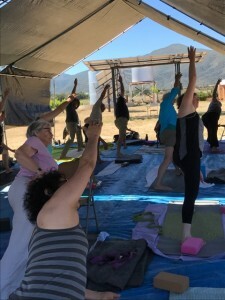 In the middle of a beautiful spring, folks gathered for our 4th Annual Yoga in the Vineyard Getaway led by Santa Cruz teacher, Susan Merritt. 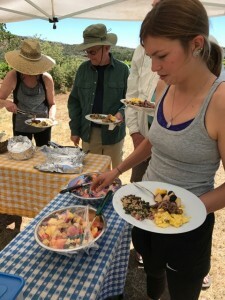 There were many folks returning, some for their fourth time, and newcomers as well. 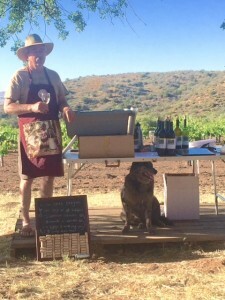 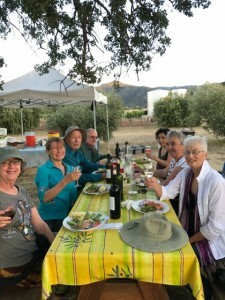 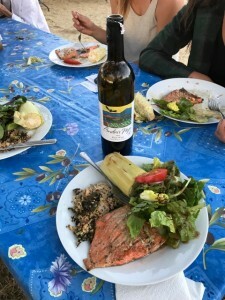 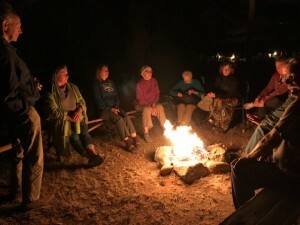 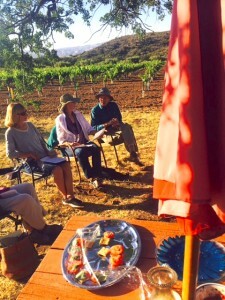 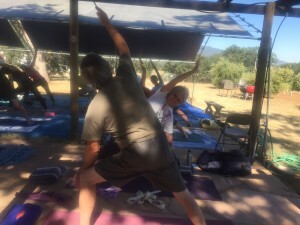 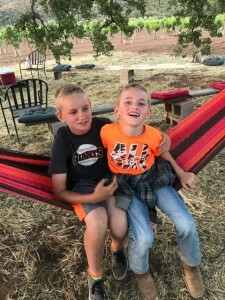 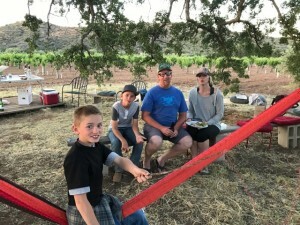 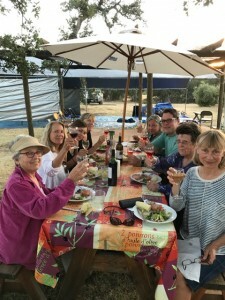 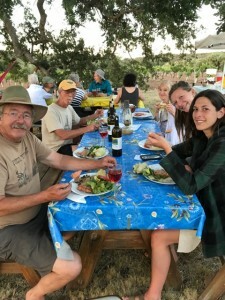 And we enjoyed perfect weather for yoga, meals in the vineyard and gathering around the campfire at night. 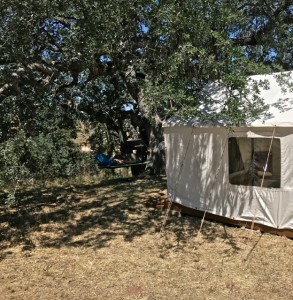 It was truly a getaway from our busy worlds. 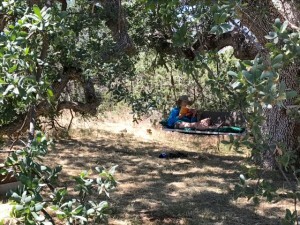 And how relaxed we all are!